Yesterday’s Chicago Bears loss to the Buffalo Bills was brutal. The Bears defense was ran all over by the Bills impressive ground game. And now it gets a little worse. 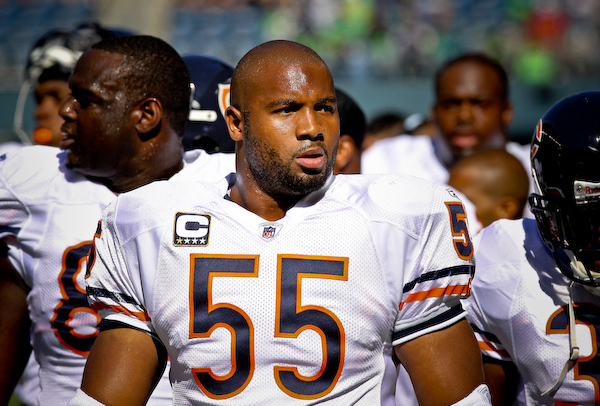 According to 670 The Score’s Matt Spiegal, Bears linebacker Lance Briggs was out partying until 4 a.m. Saturday morning buying shots. Now athletes are allowed to enjoy themselves, we get it. But for a defense that was historically bad last season, we would prefer not hear this news. If there's 1 Bear you wouldn't like hearing was out partying, buying shots for people until 4 AM Friday, who is it?I'll share it in hour 1.